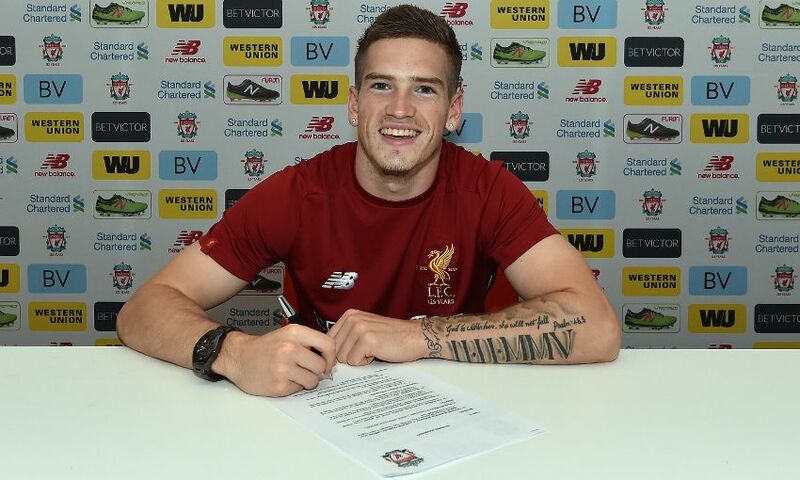 Ryan Kent has today signed a new long-term contract with Liverpool Football Club. The 20-year-old has committed his future to the Reds by putting pen to paper on the deal at Melwood. The news comes after an impressive pre-season campaign with the first team for Kent, during which he figured in seven of the club’s eight friendly fixtures. Kent told Liverpoolfc.com: “It’s a big achievement. It’s pay off for all the hard work that’s been put in over the last few years, so it’s a big achievement for me, my mum, my dad, my family and friends that have been with me throughout this big journey. I’m looking forward to kicking on in the future now. “It was an easy decision. I am with a manager here that is willing to play young players and invest his time into my progression as a player. Kent, an England U20 international, has made one competitive appearance for Liverpool, coming in an FA Cup third-round tie with Exeter City in January 2016. The Academy graduate, who joined the Reds at the age of seven, spent last season on loan at Barnsley, while he has also previously had a temporary stint with Coventry City.